Johannes Gensfleisch zur Laden zum Gutenberg was a German blacksmith, goldsmith, printer and publisher who introduced printing to Europe with the printing press. 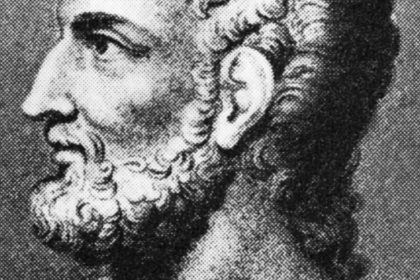 His introduction of mechanical movable type printing to Europe started the Printing Revolution and is regarded as a milestone of the second millennium, ushering in the modern period of human history. Take a look below for 28 more fascinating and interesting facts about Johannes Gutenberg. 1. His printing press played a key role in the development of the Renaissance, Reformation, the Age of Enlightenment, and the scientific revolution and laid the material basis for the modern knowledge-based economy and the spread of learning to the masses. 2. 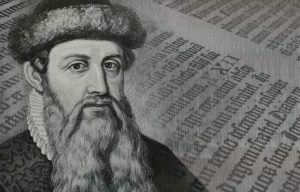 In 1439, Gutenberg was the first European to use movable type. 3. Gutenberg’s method for making type is traditionally considered to have included a type metal alloy and a hand mold for casting type. 4. 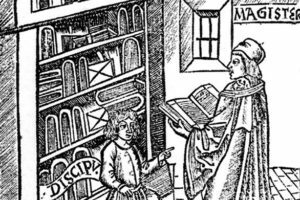 In Renaissance Europe, the arrival of mechanical movable type printing introduced the era of mass communication which permanently altered the structure of society. 5. His major work, the Gutenberg Bible, has been acclaimed for its high aesthetic and technical quality. 6. He was born in the German city of Mainz, the youngest son of the upper class merchant Friele Gensfleisch zur Laden, and his second wife, Else Wyrich, who was the daughter of a shopkeeper. 7. It’s assumed that Gutenberg was baptized in the area close to his birthplace of St. Christoph. 8. According to some accounts, Friele was a goldsmith for the bishop at Mainz, but most likely, he was involved in the cloth trade. 9. Gutenberg’s year of birth isn’t precisely known, but it was sometime between the years of 1394 and 1404. 10. In the 1809s, the city of Mainz declared his official and symbolic date of birth to be June 24, 1400. 11. In 1411, there was an uprising in Mainz against the patricians, and more than a hundred families were forced to leave. As a result, the Gutenberg’s are thought to have moved to Eltville am Rhein, where his mother had an inherited estate. 12. In March 1434, a letter by him indicated that he was living in Strasbourg, where he had some relatives on his mother’s side. 13. Gutenberg was a goldsmith member enrolled in the Strasbourg militia. 14. In 1437, there is evidence that he was instructing a wealthy tradesman on polishing gems, but where he had acquired this knowledge is unknown. 15. 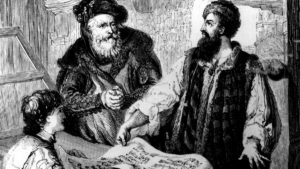 Gutenberg borrowed 800 guilders from a local financier, Johan Fust, to purchase specific tools and equipment. 16. Each metal block from Gutenberg’s printing press contained one character: letters, numbers and punctuation. 17. 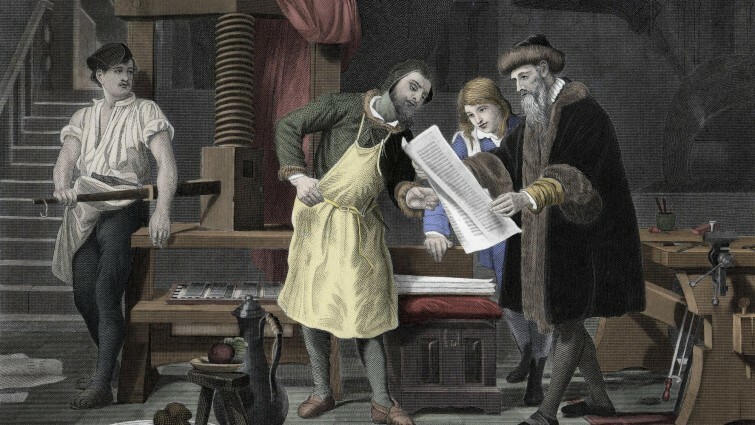 Gutenberg actually created the printing press in an attempt to offset losses from a failed attempt selling metal mirrors. 18. He printed the first book by movable type printing press, known as the Gutenberg Bible, or the 42 Line Bible. 19. Gutenberg created an oil-based ink, which was more effective than the water based inks other printers in the era used. 20. He was in debut and unable to pay back his loan to Johan Fust. Fust sued and won the suit and took over Gutenberg’s printing business. 21. Not only is Gutenberg’s method of printing credited with revolutionizing the production of books, but also for promoting the development of sciences, arts and religion through text. 22. Gutenberg’s father, Friele Gensfleisch was a goldsmith who had also served as a town councilor, while his mother Else Wyrich was the daughter of a respectable shopkeeper in Mainz. 23. Friele Gensfleisch also had some managerial role in the Mainz mint and Johannes probably grew up learning how coins were made. 24. Gutenberg had a brother and sister named Friele and Else respectively. 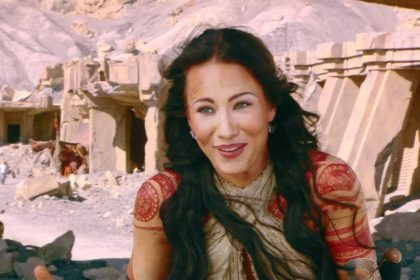 He also had a half-sister from his father’s first marriage named Patze. 25. In Strasbourg, there was a case filed against Gutenberg by a patrician woman named Ellewibel zur Isernin Thure which accused Gutenberg of breaking a promise of marrying her daughter, Ennelin. 26. There is no evidence that Gutenberg ever married anyone or had any children. 27. In 1462, during the devastating Mains Diocesan Feud, Mainz was sacked by archbishop Adolph von Nassau, and Gutenberg was exiled. 28. An old man by the time of his exile, Gutenberg moved to Eltville where he may have initiated and supervised a new printing press belonging to the brothers Bechtermunze.